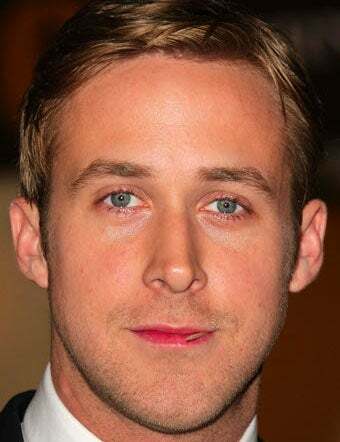 For a man of few words, Ryan Gosling has said many a fascinating thing. On Michelle Williams: "She's like Montana. If you want to get anywhere in Montana, you have to sit tight. You're on Montana time. It's very beautiful, but it's vast. If you want to get somewhere with Michelle, you really have to be patient. She's so vast. You really have to sit back and enjoy the view. There's so much going on internally, so much ground to cover." On Death: "I think about death a lot, like I think we all do. I don't think of suicide as an option, but as fun. It's an interesting idea that you can control how you go. It's this thing that's looming, and you can control it." On Women in Hollywood: "Hollywood usually doesn't have strong woman in films like that, and it's stupid, so for the most part they're usually being directed and written by men." On People: "I think it's more interesting to see people who don't feel appropriately. I relate to that, because sometimes I don't feel anything at all for things I'm supposed to, and other times I feel too much. It's not always like it is in the movies." On Hair: "You know us crazy kids. We'll do anything crazy to our hair." On Romance: "If I eat a huge meal and I can get the girl to rub my belly, I think that's about as romantic as I can think of." On News: "I think American news is pretty tragic in general. I can't tell the difference between "Entertainment Tonight" (1981) and the news. It's all about ratings. They are trying to sum it all up pretty quickly and try to act as if they understand it."